Based off what could be Taylor’s most critically acclaimed album and a complete turn into the pop world, the 1989 World Tour is supposed to be international but it’s still a bit short on the countries that The Speak Now Tour reached. The Agency loses guitar player Grant Michaelson and fiddle player Caitlin Evanson. They gain a horn section temporarily. Its members perform for a few concerts following the album release, but they have not been seen in the actual tour since. The concerts are huge now. The stage work is elaborate, less theatrical but more dynamic. Once again, I follow the entire tour with spoilers under Inside 1989. The tour also marks the return of Montreal to the touring cities list. I write my concert experience and since videos are strictly taken down now, I create a list page for all the surprise guests and the secret songs. 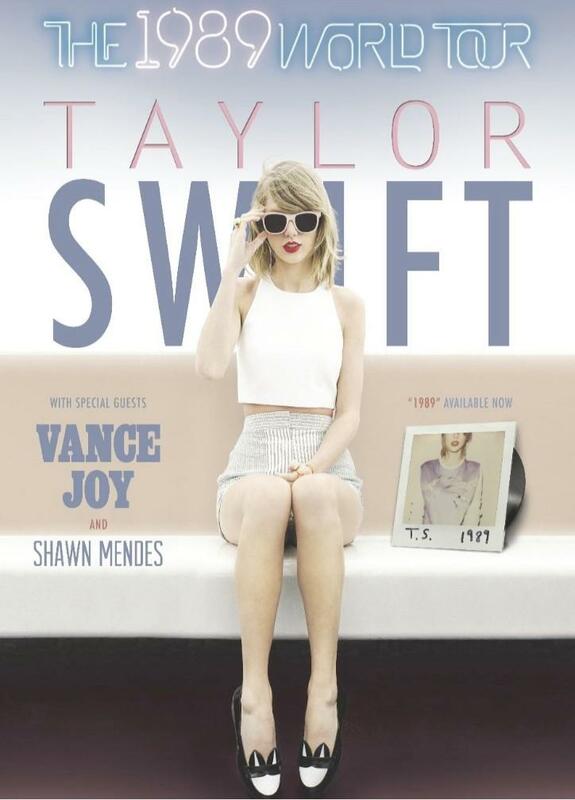 The 1989 World Tour in Montreal, Quebec. July 7, 2015. All the pictures in this section except otherwise noted were taken by me.